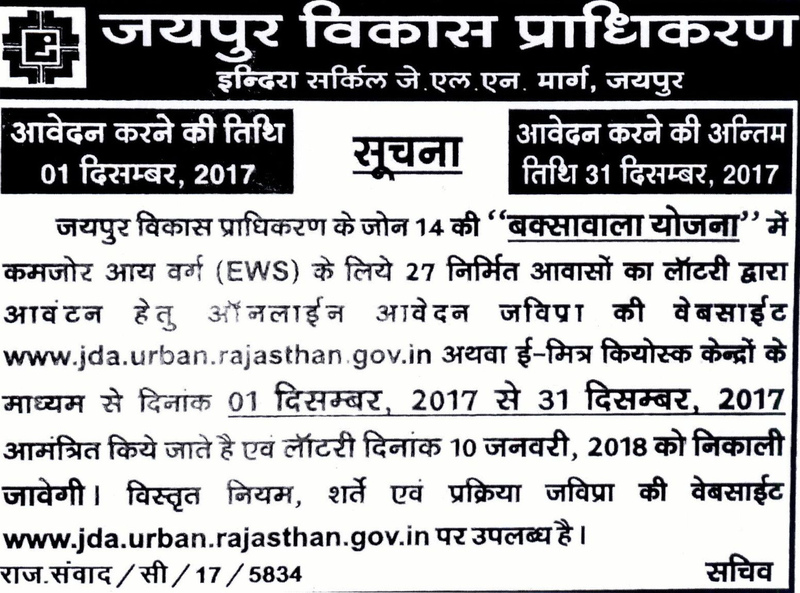 Jaipur Development Authority (JDA) has invited for online registration for allotment of constructed dwelling units at Baxawala Yojna for economical weaker section (EWS) category people. The online registration for constructed dwelling units at Baxawala Yojna has been started from 1st December 2017 and registration will be closed at 31th December 2017. The eligible candidates can apply for this scheme till 31th December 2017. Visit JDA officially website http://www.jda.urban.rajasthan.gov.in.